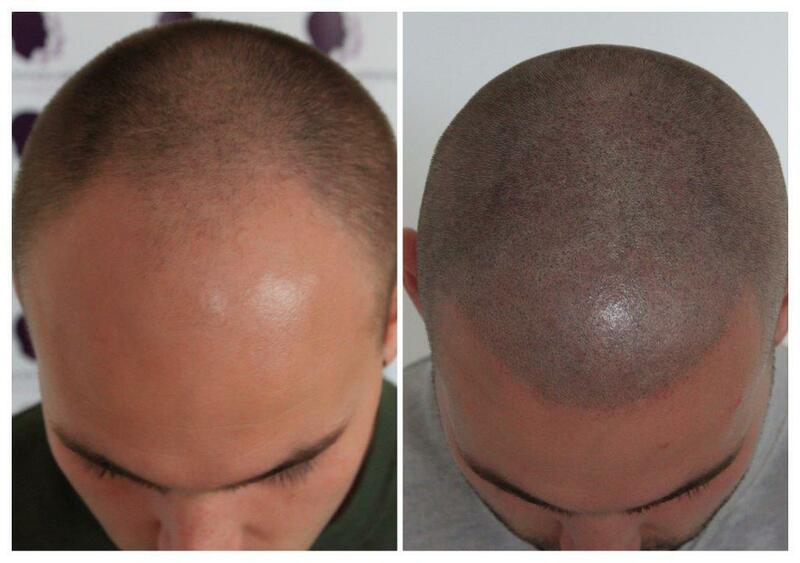 Scalp Innovations "has made all the difference to my life"
Scalp Innovations "has given me my confidence back, and made me look years younger"
Scalp micropigmentation is the fastest growing solution for hair loss in both men and women. It is non-invasive, has universal appeal and is the only permanent hair loss fix to offer instantaneous, guaranteed results. Feel confident again with Scalp Innovations. Call us today to arrange a free no-obligation consultation with one of our professionally recognised and qualified technicians. 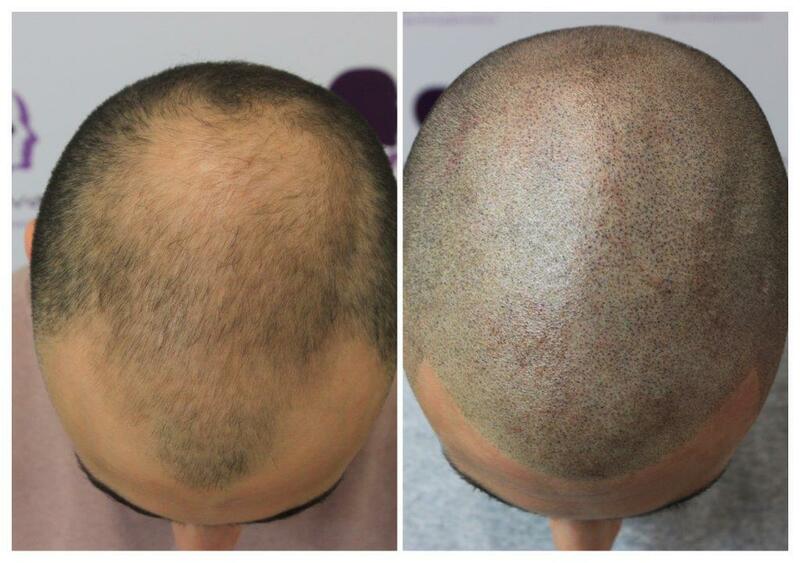 Effective treatment for hair thinning, baldness and alopecia, in both men and women. 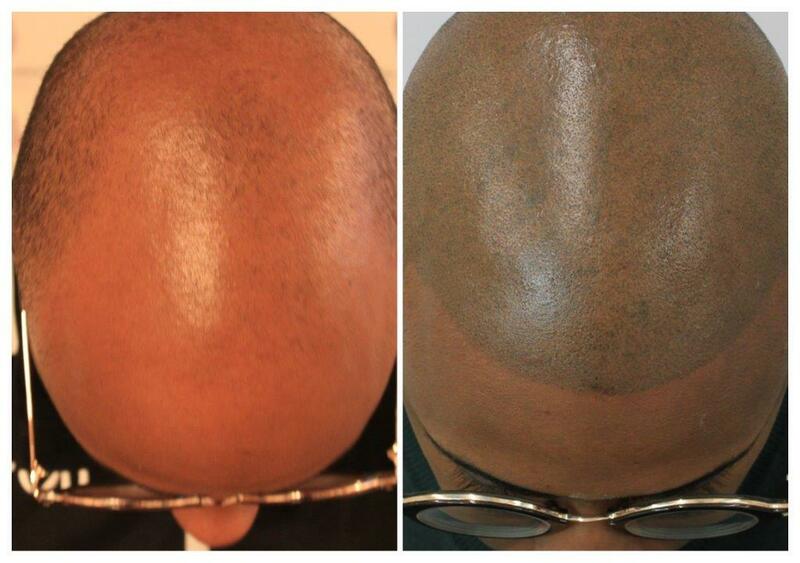 Instant results – restore your hairline and your confidence within a day! Scalp micropigmentation is form of a cosmetic tattooing that gives the illusion of a closely-shaved hairstyle on a bald head. It is also used to make thinning hair appear thicker and to camouflage scarring from injury, surgery or hair transplantation. The procedure does not penetrate as deeply into the skin as normal tattooing, and the inks used are less prone to fading and colour change over time. 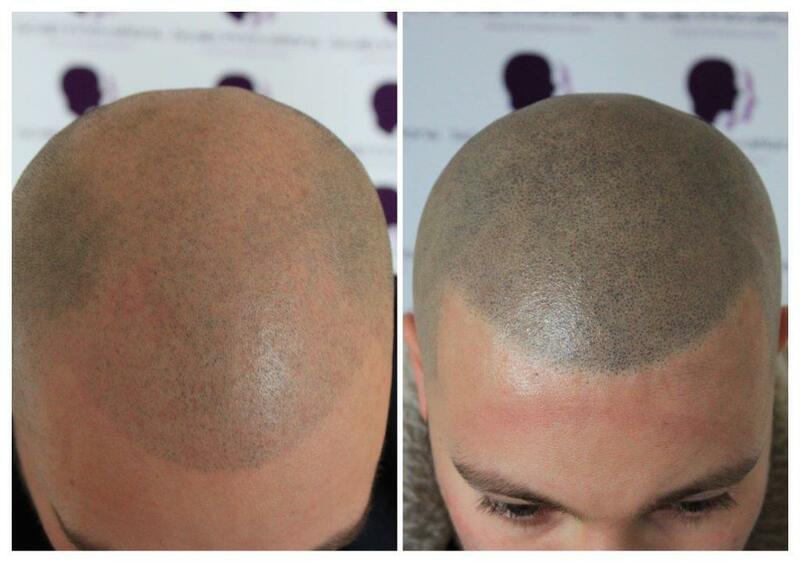 A successful scalp micropigmentation procedure relies on an accurate appearance of hair follicles. Pigments that do not blend well with surrounding natural hair follicles – for example, deposits that are larger or darker – can cause the treatment to look unnatural and lead to its detection by others. The best results can only be achieved by a fully trained technician who uses the right inks, needles and equipment specifically made for scalp micropigmentation. An experienced technician will ensure that the client leaves the clinic with natural looking ‘hair’. Find out more about the treatments we offer. Pictures of our successful treatments and happy clients. scalp pigmentation, micro scalp pigmentation, SMP, MSP, hair follicle replication, tricopigmentation hair tattooing. All of these terms refer to the same basic technique.